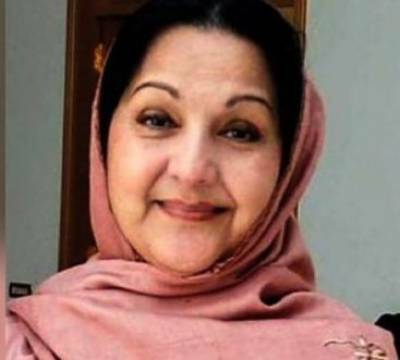 Islamabad (Staff Report): Many political leaders including Prime Minister Imran Khan, Pakistan People Party chairman Bilawal Bhutto Zardari and others have expressed grief and sorrow over the death of former first lady Begum Kulsoom Nawaz. "We are extremely saddened by the news of Begum Kulsoom Nawaz’s passing away. We have massive respect for her, who stood like a rock in the face of a dictator, when no one else around her did. May she rest in peace," wrote on PTI's official page. Army Chief Qamar Javed Bajwa also condoled with the Sharif family and prayed for the departed soul. Begum Kulsoom Nawaz, wife of former prime minister Nawaz Sharif, on Tuesday passed away in London after a months-long battle with cancer. Begum Kulsoom had been placed on life support earlier today as her health began deteriorating. Death of Kulsoom Nawaz was confirmed by her son Hassan and Pakistan Muslim League Nawaz president, Shehbaz Sharif. Begum Kulsoom travelled to the British capital city in August last year, where she was diagnosed with Lymphoma, prompting Sharif family members to get her admitted to the upscale health facility. The former first lady, who contested elections from NA-120 Lahore last year, was shifted to the intensive care unit at a UK hospital from the emergency unit after her condition deteriorated ahead of Eid ul Fitr.